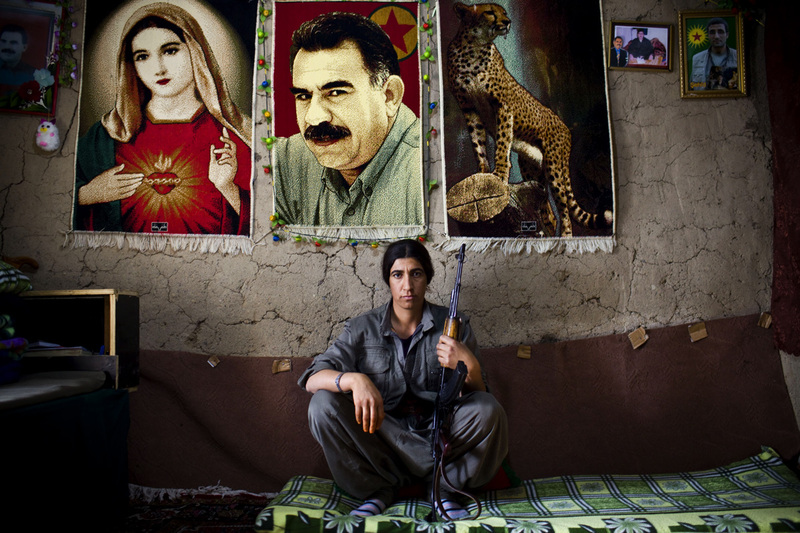 PKK guerilla Sarya Agiri, 22, from Maku, Iran, poses for a portrait in Qandil Mountains, Iraqi Kurdistan, December 5, 2010. She has been with PKK for four years. She is a guerrilla fighter and carries her own gun and her current duty is to work at sewing workshop.